This is Ethan Sawyer (aka College Essay Guy) and my goal is to bring more ease, joy and purpose into the college application process. Welcome to the College Essay Guy podcast where it is my job to interview the most brilliant minds in the college admissions world, to analyze their genius, and then break it down for you into a series of practical, actionable steps that you can take whether you're applying to college yourself or helping someone else apply. How much do SAT scores matter? Do students even need standardized tests? When should students take the test? What’s the difference between the SAT and the ACT? Do students need the optional essay? And all that in a breezy 45 minutes. Let’s get to it. 1:51 Who is Adam Ingersoll? 6:36 Are standardized tests evil? 8:32 What’s a good score? 11:41 How much do SAT scores matter? 14:28 Do students even need standardized tests? 16:54 When should students take the test? 21:10 What’s the difference between the SAT and the ACT? 25:03 Do students need the optional essay? 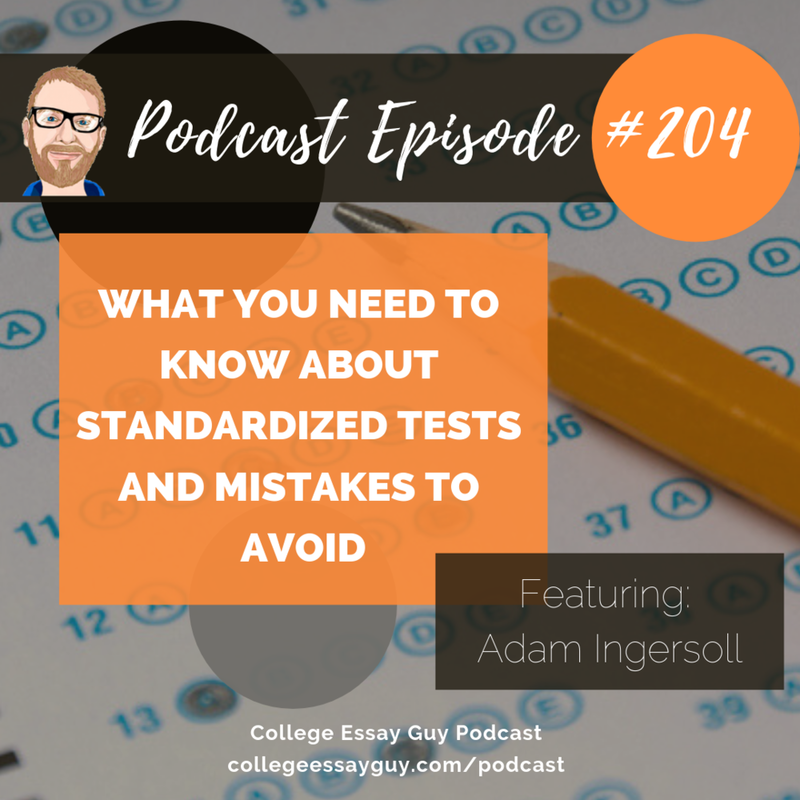 27:03 How many times should students retake standardized tests? 29:56 What the highest number of times you’ve ever heard of a student taking the SAT or ACT? 31:35 Does Adam enjoy taking the SAT? Bob Schaeffer episode: 201: Test Optional Admissions 101: What, Why, Where, Who? What’s a good score at XYZ College? Do I even need the tests? What’s test-optional all about? How do I know which test - SAT or ACT - is best for me? What’s the difference between the SAT and ACT anyway? What about the SAT and ACT have an optional essay--do I need that? How many times should I take the test, will colleges see all my scores, and does that even matter? What about Subject Tests? Who needs them, which ones should I take and when, and what’s considered a good score? What is the relevance of the PSAT? How does National Merit work? Tell me about accommodations for students with learning differences. 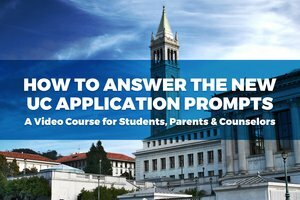 Guide to College Admission Testing - What is it? The Guide is a nearly 100 page resource addressing every question imaginable about college admission testing. What can students do with the guide? It’s really helpful both broadly and narrowly. Specifically, the college admission testing world is full of lists. There are many finicky questions that tie back to testing policies and how scores are reported and used. Testing requirements, restrictions, and rules vary widely from college to college. The Guide and companion resources on our website keep track of every detail.